2:30 a.m. Never Too Young to Die (1986). Spy movie with George Lazenby. Oh, RATS! Darn and double darn! Foiled once again! Never Too Young To Die will NOT be broadcast in Canada! Why, TCM, why? Many Canadians are every bit as shallow and wallow in taste just as bad as any American viewer. Look at me! 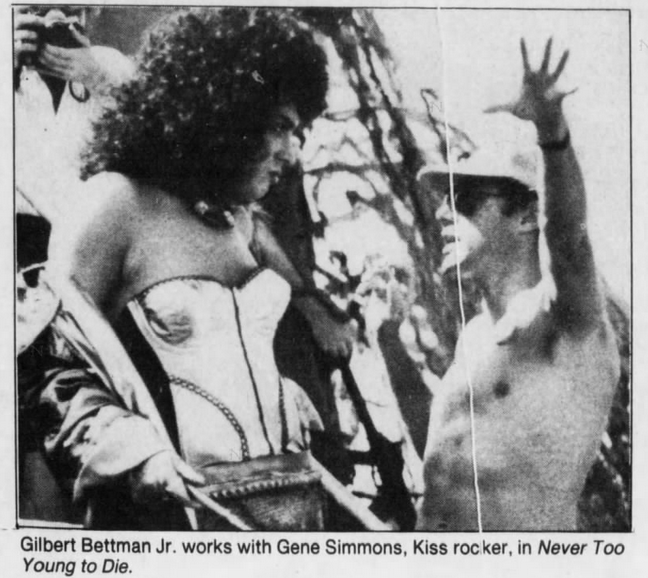 Maltin's review even refers to Gene Simmons portrayal of a "power crazed hermaphrodite." YIKES!!! I'll be looking for reviews on the board afterward. Director George Bettman Jr. ran out of money several times while making the film. He almost gave up, then took it to Robert Zemeckis, who loved it. Bettman managed to get enough financial backing to finish it. In describing the film, Bettman said "The action is as good as Rambo - I mean plenty of people get blown up - but it has this crazy, wacko villain and I think that's what really saves it." 3 a.m. La Notte (1961). One of my favourite Antonioni films. With Marcello Mastroianni and Jeanne Moreau. What a couple! Tonight: The Sheik (1921) 12am or 12:15am (EST) followed by Son of the Sheik (1926) 1:45am (EST). Valentino's reign on top only lasted the five years between these two films, but it's interesting to compare his two performances here. In the first film there is a lot of ham and eye popping on his part but by the time he made the tongue-in-cheek sequel (in which he plays two roles, as father and son) he understands the material far better and delivers a more subtle portrayal (though the film itself is still a fun over-the-top melodrama with the well built Rudy more than convincing as the silent equivalent of a modern action hero). Agnes Ayres is his leading lady in The Sheik, while Vilma Banky gets the desert romance treatment in Son of the Sheik (which, let's face it, includes being raped by the leading man). The Sheik is actually on at 12:15, I believe. The Bad and the Beautiful won't fit in a two-hour slot, especially with Annette Bening and Eddie Muller talking about it. Thanks, Fedya. That makes sense. I was going by a week old printout which listed midnight as the start of the film. It doesn't have the big reputation of Robin Hood or Captain Blood but the last of Errol Flynn's lavish swashbucklers for Warner Brothers is one of the best costume films ever made. Stunning costumes and sets in breath taking Technicolor, a witty screenplay, and one of the best musical scores of Max Steiner's career (both rousing, as well as poignantly romantic). An older Flynn brings a nuanced, world weary flavour to the title role. 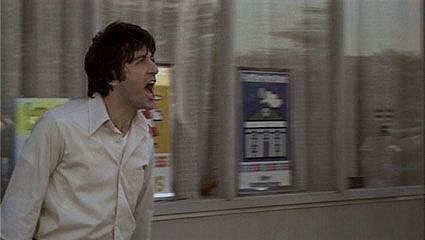 It's one of his best performances, as he enjoys delivery of some of the best dialogue of his career. Viveca Lindfors brings sensitivity and intelligence to the role of the Queen of Spain, Robert Douglas is effective as the all-in-black ambitious villain, and it's a pleasure to see Alan Hale re-united with Flynn for the last time. "There's a little bit of Don Juan in every man and, since I am Don Juan, there must be more of him in me." 6:30 a.m. Sweet Kitty Bellairs (1930). Featuring a very young Walter Pidgeon! 6:15 p.m. 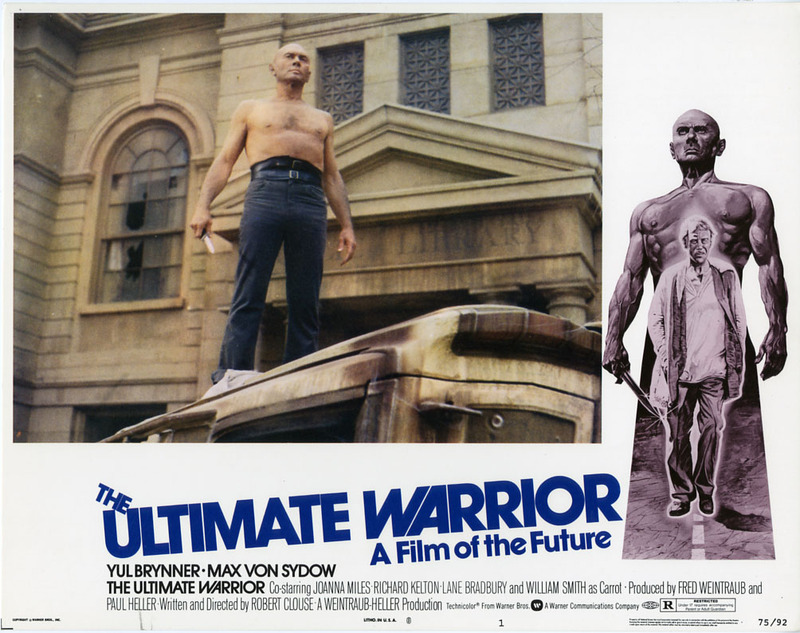 The Ultimate Warrior (1975). And it has Max von Sydow. Have this film on the Errol Flynn DVD collection, haven't seen it yet, but it does sound like a very interesting film. Need to catch it one of these days. For me, Errol Flynn's costumes make the movie. When Errol Flynn (as Don Juan masquerading as "The Duke") is being paraded into England, he is at the end of a procession. 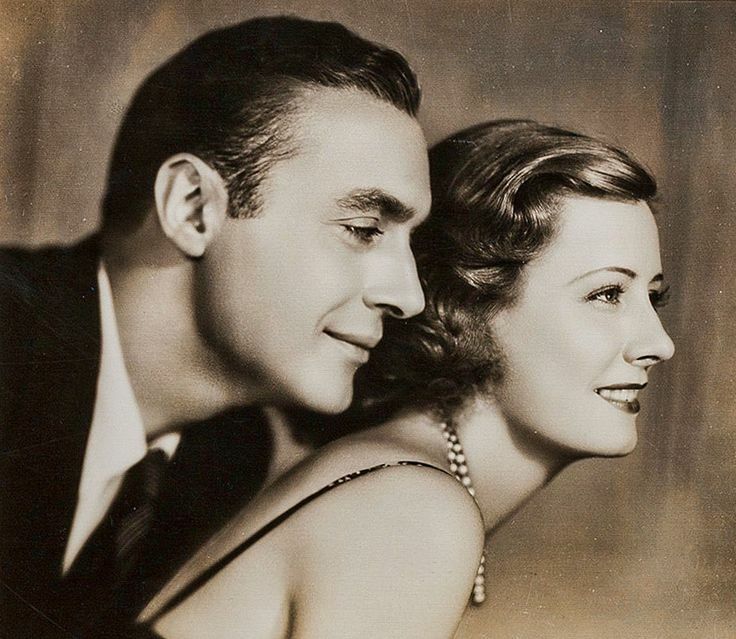 The studio used footage from The Private Lives of Elizabeth and Essex as "the procession." What they neglected to note however, is that Flynn (as Essex) is at the front of the procession. Despite wearing a metal helmet, Flynn is quite noticeable. So what we have is a 1939 Flynn escorting 1948 Flynn into England. The Academy must have thought so too speedy, as I've just noticed it won the Oscar that year in the category of "Best Costume Design, Color". 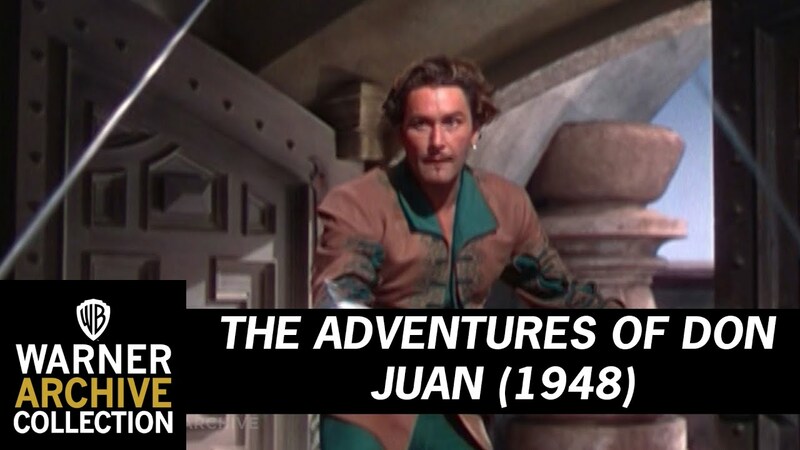 Don Juan's failure to do well at the American box office marked the end of Jack Warner's interest in promoting Errol Flynn movies. From then on Flynn's Warners films would be largely routine affairs with reduced budgets. Don Juan had been a very difficult production, going way over budget, part of that due to its star who disappeared from the set following terrible critical notices for a film released during the making of the film, Escape Me Never. Some simply said that Errol (always more sensitive to critical notices than he tried to let on) went on a massive bender. Others have indicated that it may have been more than that, the possibility he was suffering from an emotional crisis (Flynn wrote in his autobiography that he went through a suicidal period while in Hollywood but he didn't say exactly when that was). 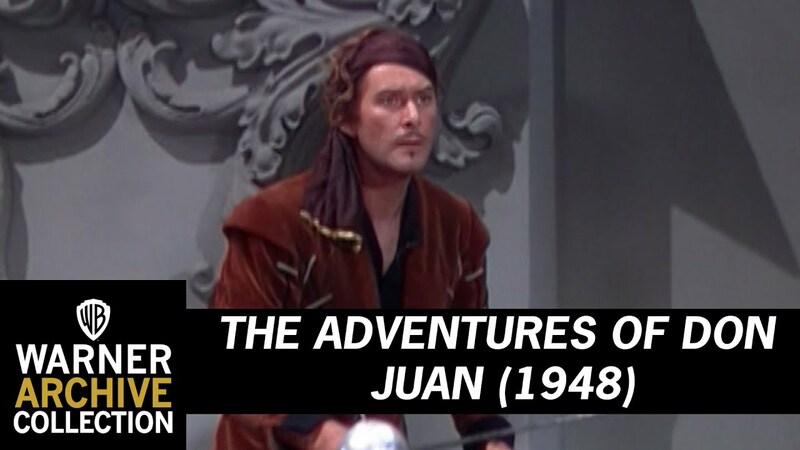 The pity of it all is that Adventures of Don Juan is such a sly, witty film, as well as being an exciting adventure, with Errol virtually owning the often clever dialogue with his delivery. He showed in this film what a delicious performer he could be of tongue-in-cheek material. And, older or not, he still possessed a cat-like grace and command in the action sequences, even though they had to be heavily edited because he easily got winded by this stage of his life. This film has long been one of my great favourites. 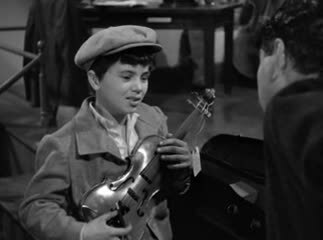 "Once a Thief" (1950) - on yesterday 1/9. What a film! When I sit through a B movie this is the kind of thing I want to see! It starts out something like "My Friend Irma" in rom-com territory then by the end of the film has segueyed darkly into Duel in the Sun with Ladies They Talk About and a touch of Asphalt Jungle along the way. Very interesting for something made on the cheap AND it was on in prime time. 7:15 a.m. Goin’ Fishin (1940). 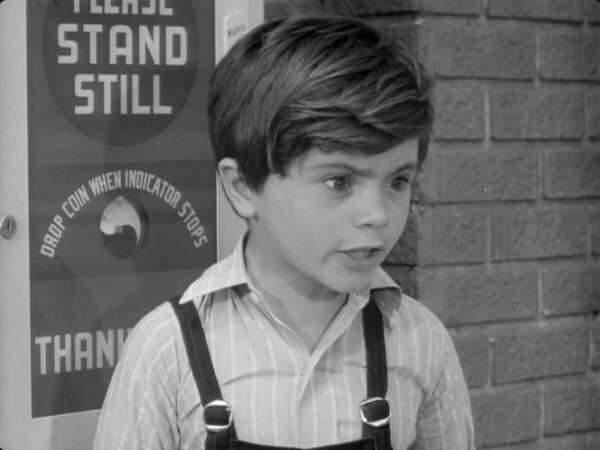 Short subject featuring that adorable little killer, Robert Blake. 11 a.m. Flipper (1963). I was a little kid in Florida at this time and asked Flipper’s trainer for his autograph at a water world show. Judging by his reaction I think I was the very first person to ask. Blake wasn't a bad actor when he was a kid. 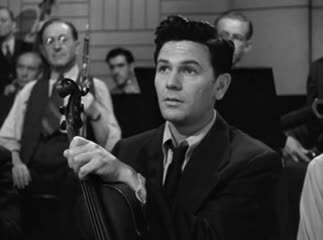 I particularly like him when he played John Garfield as a boy in Humoresque. He brought a sensitivity and even sweetness to the role. Years later, during his Baretta years, I recall his being interviewed on a talk show, and discussing Garfield. He said that he had a scene in the film in which he was supposed to cry and the director (Jean Negulesco) was becomingly increasingly impatient with him for not being able to perform it properly. Garfield arrived on the set at this time, sized up the situation, took the director aside for a minute then climbed up on the fire escape set, where the scene was set (most of it eventually cut from the film - in fact, I can't even recall a fire escape in the film) and sat next to young Blake. Said Blake, "He just talked to me for a while about my childhood, and he got me to go back into my past and talk, and pretty soon I was crying my eyes out. It was his way of teaching me that the Group Theatre's Method really worked. Then he climbed through the window behind me, told me not to worry about the crew, and coached me through the entire scene as Negulesco filmed it. It was the beginning of my education as an actor." 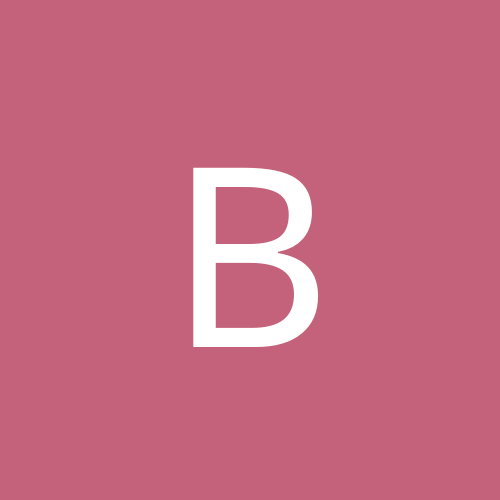 Afterward, according to the Garfield biography He Ran All The Way, the little boy followed Garfield around the set like a puppy dog, something the actor did nothing to discourage. Robert Blake's public image has considerably hardened since then, I know, but whenever I think of him, I often think of this anecdote about a vulnerable child actor and the "tough guy" film star who could feel for that boy and took the time to help him get through a scene. 6:30 a.m. Together Again (1944). Haven’t seen this one yet. With Irene Dunne, Charles Boyer and Charles Coburn. 8:15 a.m. The Toy Wife (1938) Luise Rainer plays a Southern belle? Straight off the boat y’all? 4:15 a.m. The Secret Land (1948). Antarctic documentary with Robert Montgomery, Van Heflin and Robert Taylor. Right now I'm rewatching Theodora Goes Wild-- one of my favorite classic screwball comedies. On this DVD I also have Together Again. I'll be looking looking forward to hearing what you think about it. BTW-- Several years ago I checked out The Toy Wife at the public library on DVD. It has a Gone With the Wind flavor to it, co-starring Robert Young. Inferno (1953). Is this a premiere? Originally released in 3D. Always wanted to see it. Features my dream girl Rhonda Fleming. She looks great in 2D, and my mind boggles at what she would have looked like in 3D. I think it is a TCM premiere. And a darn good movie to boot, regardless of whether it's in 2D or 3D. Or Rhonda Fleming in 34D. If you don't...suc-kerrr. Enjoy your nice flat 4KTV. It's been mentioned on other threads but Into the Wild is excellent and I highly recommend it. I cried when I saw it and I cried when I read the book and I'm not much of a crier. Fine performances, especially by Oscar-nominated Hal Holbrook. I may also check out Inferno but it'll be for Robert Ryan, not so much Rhonda Fleming (sorry, fellas).